Not long ago, thanks to a botched drink order, we had our first experience with the new style plastic "adult sippy cup" lids that Starbucks (NYSE: SBUX) announced would replace plastic straws for all its iced beverages back on 9 July 2018. 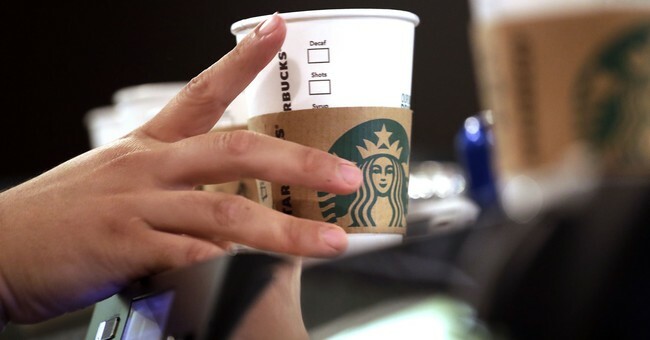 Starbucks' adult sippy cup lids are being first rolled out in the North American cities of Seattle, Washington and Vancouver, British Columbia, even though neither city, nor any city in North America, nor the entire continent of North America, is a major source of plastic waste that enters the world's oceans each year. At present, neither Starbucks nor the Ocean Conservancy has indicated how they will reduce the total volume of plastic trash entering the world's oceans from the places that are primarily responsible for the practice. What hasn't yet been much remarked upon is that the thicker plastic used in Starbucks' adult sippy cup lids makes them less effective at their primary purpose: containing the iced beverage within its cup without spilling. The thicker plastic makes the lid design more rigid than its predecessor, which makes it much easier to pop off the top of the cup with a very light amount of pressure, applied either to the lid or to the upper portion of the body of the plastic cup. The previous flat lid design didn't have that problem, because it was much more flexible, allowing it to remain attached to the cup when handled similarly. Apply a light amount of pressure at a single point on the underside of the lid where it is attached to the cup. Pick the cup up by the lid at several points around the lid and squeeze gently. Hold the plastic cup near the top, but not touching the lid, and squeeze gently. In each case, you should discover that the lid pops off much more easily than the old-style flat lid design does, greatly increasing the risk of spills. Although our experiments currently involve a sample size of just one cup, where perhaps Starbucks' inattentive baristas  randomly provided us with an extraordinarily poor lid/cup combination, our first experience suggests that Starbucks' new adult sippy cup lids are not ready for prime time as they would appear to be less effective as lids than the design they will replace. The funny thing is that if Starbucks would rather that customers pop the tops off their iced beverages when they consume them, the practice of drinking them on the go be damned, they could have simply eliminated the plastic straws and kept their existing plastic lids, which are actually designed to be used as coasters when consumers choose to drink their iced beverage from a lid-free cup. That's something else at which the Starbucks' new lid design also fails. Remember, we only got the cup because they botched our drink order, where they chose to provide us with an altogether different beverage than the one we ordered. We chose to go along with it because it came with the new cup and lid design, which we wouldn't have had the chance to play with if they had gotten our order right. For us, it's additional evidence that the company is increasingly troubled, where it is perhaps skimping on employee training as well as product testing as part of a series of poorly considered cost reduction strategies in trying to boost its bottom line.